Apple made an important change in its payment policy in China. 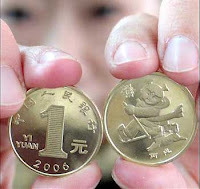 After long neglecting the Chinese market, the company has begun to accept payment in Chinese Yuan in Application Store. Now it is easy for customers to get their hands on software. The change is quite beneficial for iOS developers too. Before that, for making App Store purchases, Chinese shoppers were required to hold dual-currency credit cards. As for now, 20 Chinese banks have entered into an arrangement with Apple to facilitate the shift. With its’ help customers are able to make payments and buy applications much more easily now. After reading a study, which talks about China’s share in marketplace, a motivation behind Apple’s decision gets obvious.